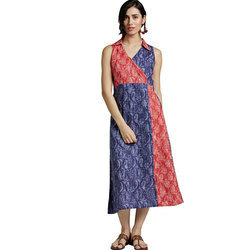 Hand Block Printed Cotton Dress In M, L, Xl Size Are Regularly Available . We are offering Fashionable Ladies Long Dress. 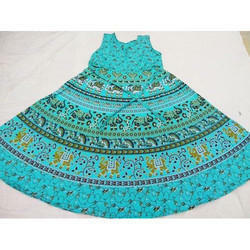 We are a prominent manufacturer, supplier and exporter of an extensive range of Tie & Dye Dresses. These dresses are tailored using finest quality fabrics such as cotton, satin and silk. To cater to the diverse requirements of customers, we offer our range in a spectrum of specifications at industry-leading prices. We are one of the widely acclaimed manufacturers, exporters and suppliers of Ladies Designer Wear. We offer an exquisite range of cotton Western Dresses in different hues and exciting prints. With a firm commitment to quality, our organization is engaged in offering a wide ambit of Designer Kurti with Dupatta.